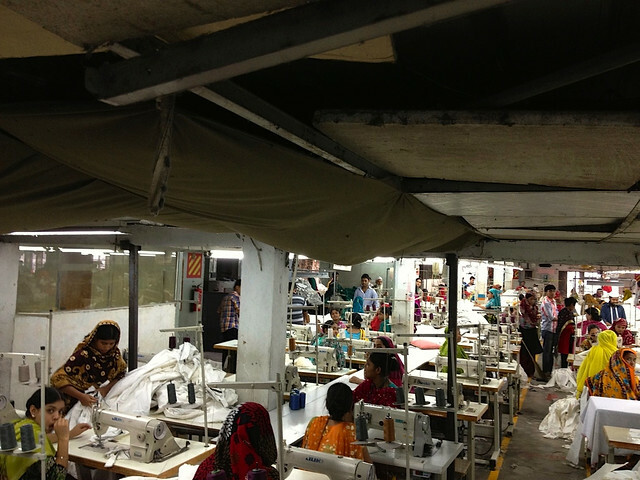 The two groups of western retailers – Accord and Alliance – have completed their initial inspection of fire, electrical and structural safety of nearly 1,700 garment factories in Bangladesh, identifying flaws in most of the units. Accord, the European Union (EU) based group with 189 members including H&M and Inditex, Tuesday said it had found more than 80,000 safety hazards in 1,106 assessed garment factories. “We have found safety hazards in all factories. The safety findings have ranged from minor to significant,” said an Accord statement, quoting it’s chief safety inspector Brad Loewen. The Accord inspections, ended in September, have also identified more substantial safety requirements, such as installing fire doors and automated fire alarm systems, establishing fire protected exits from factory buildings, and strengthening columns in the buildings, the statement added. On the other hand, Alliance, the North America based group with 26 members including Walmart and GAP, completed it’s assessment of 587 factories in July. The majority of buildings are structurally sound. But there are some instances in which buildings are overloaded and factories have been urged to take immediate action to reduce the load and reinforce column. Besides, common issues include inadequate fire suppression equipment, lack of fire doors and poor electrical wiring, it added. Both the groups shared their inspection findings with the government review panel, after finding some of their inspected factories below an acceptable safety level. In this regard, Accord mentioned 17 units, and Alliance 14. According to the official review panel, some 29 factories were closed for having structural flaws, while 17 were partially closed but still continuing their operation. Both the groups are working with local factory owners, brands and labour leaders to ensure safety and finance improvements, like – fireproof doors or fire-sprinkler systems that are required for garment factories with 23 metre or taller height. Out of 1,106 factories inspected by Accord, Corrective Action Plan (CAP) for over 400 has been finalised. “The CAPs are paramount to this, as they provide the remedial measures that must be taken to ensure an acceptably safe working environment,” Mr. Loewen said. “The next phase of Accord action will focus on implementation and monitoring of the Corrective Action Plans as well as rolling out training and worker participation programme, including establishing credible labour-management, occupational safety and health committees at factory level,” said Alan Roberts, executive director international operations. The group said in addition to its 1,106 inspections, it will consider 300 inspection reports that Alliance prepared on factories, producing goods for companies of both groups. However, Accord said it has not yet inspected 100 factories that its company members listed toward the end of the initial inspection programme. Rights and Consumer groups pushed apparel retailers to form these two groups after two tragic incidents – Tazreen fire and Rana Plaza collapse – that killed more than 1,200 workers.